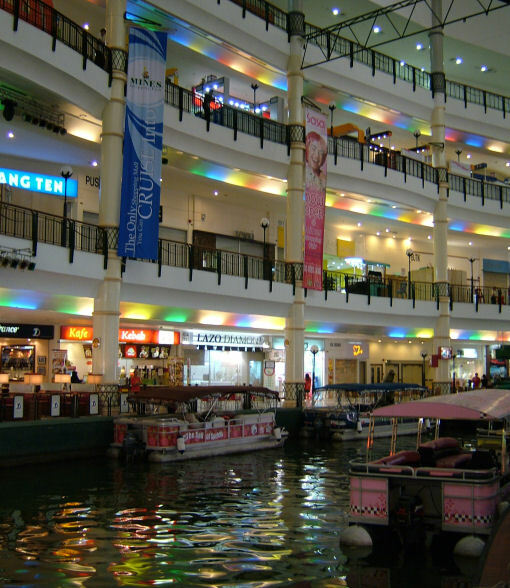 The Mines shopping fair is about 30 minutes from Kuala Lumpur city by car in a place known as Seri Kembangan. 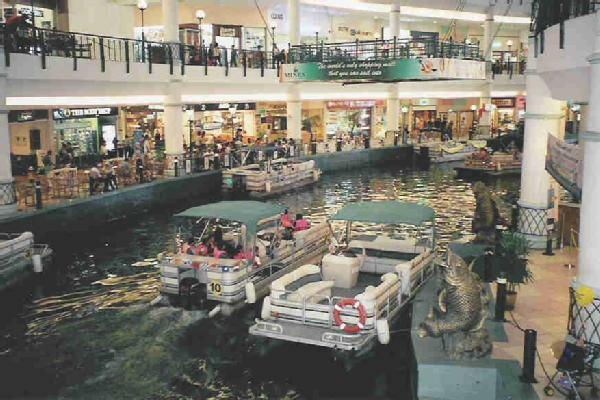 The uniqueness of this shopping mall is the fact that a canal that connects both the former tin mines lakes, the North Lake and the South Lake, goes right through its complex. This canal that goes through the mines gives it a very exotic appearance, and gave rise to the nick name mini Venice. It has entirely everything you would wish for with over 200 retail outlets, and one has the option of getting on to one of the numerous water taxis for an exhilarating experience. The true magic of Kuala Lumpur cannot be complete without going to the Mines Shopping Fair, which happens to be the most unique and best shopping mall in Kuala Lumpur. Here you will find a wide variety of food, beverages and everything else for your daily use at the Giant Hypermarket. Or, if you want to relax and treat yourself to the latest movies, there are the TGV Cinemas that will blow you away with the funkiest cinema environment. Thats not all. For those who would like to pass time with friends and family by playing some kind of game, there is Mines bowls for the bowling enthusiasts to enjoy themselves. Being part of the Mines Resort City, the Mines Shopping Fair happens to include Mines Wonderland, Mines International Exhibition & Convention Center, Mines Resort & Golf Club, as well as the Palace of Golden Horses Hotel. The Mines Shopping Fair is a city within a city with all these amenities located in one location, which boasts of a canal with two lakes that run through it. What else can one ask for? This sounds like the seventh wonder of the world. 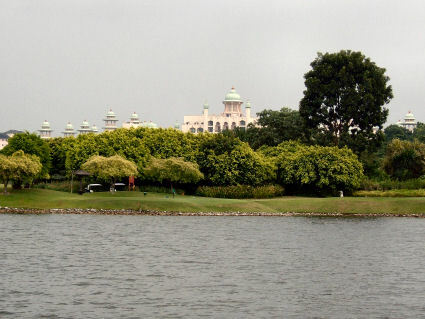 All this glamour and splendor was developed in 1988 by Tan Sri Lee Kim Yew. The water taxis add to the fun of being at the Mines, especially on a weekend when one is free and out to impress a girlfriend, or even to propose to her. Its a very romantic place for couples who want to have a good time. There are a lot of attractions at the Mines that in one day is not enough to get to experience them all. The water taxis take you around the lake that also gets you to indulge in the history of the Mines, the building, the landscape, as well as the marvelous Mines wonderland. This happens to be the main attraction for families along with their little ones, who are fascinated by the serenity of the lakes as well as the scenic greens that adorn the location. 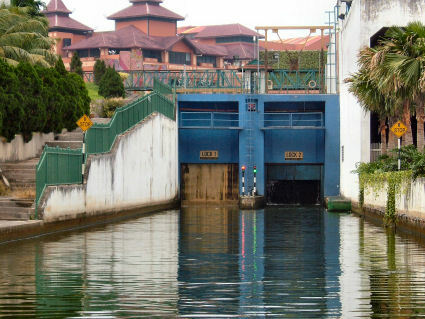 The 1,054m canal connects both the North and the South lakes with a unique system of water locks that were made to cater for the different lake height of 7m that works hydraulically, lasting 7 minutes to refill or discharge the water with a capacity of 61,600 gallons of water. There are several ways one can use to reach this marvelous place. You can either use the Silk Highway from Cheras and Kajang, or use the train. The KTM commuter train drops you at Serdang KTM station, then you board the Rapid KL Bus number 414, or better still a water Taxi that will drop you right at the mall.